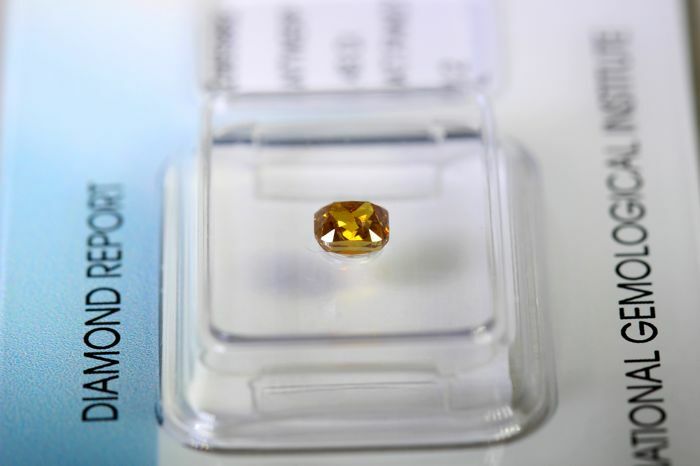 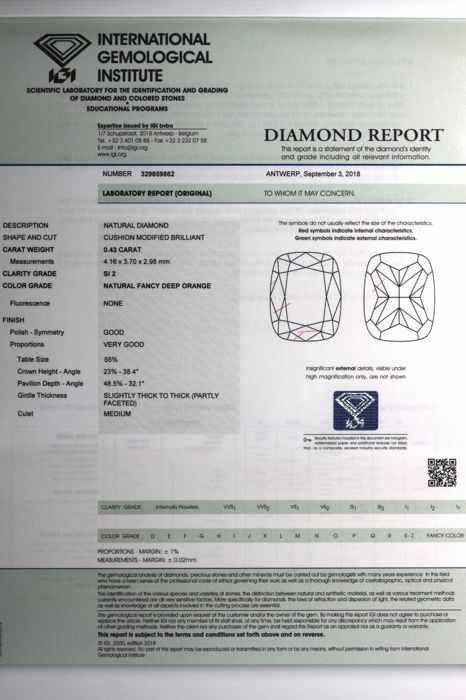 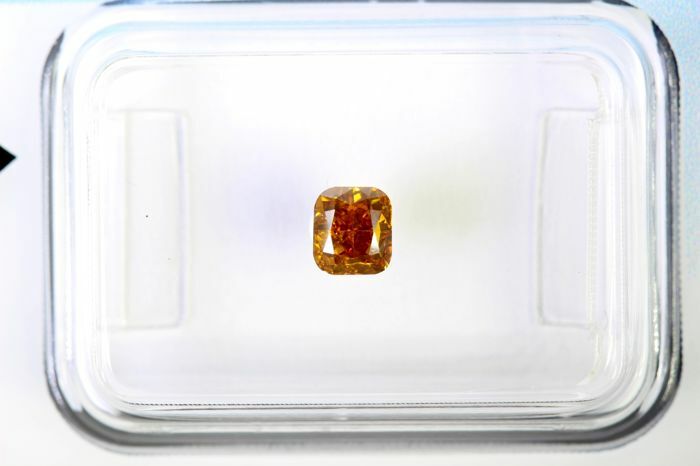 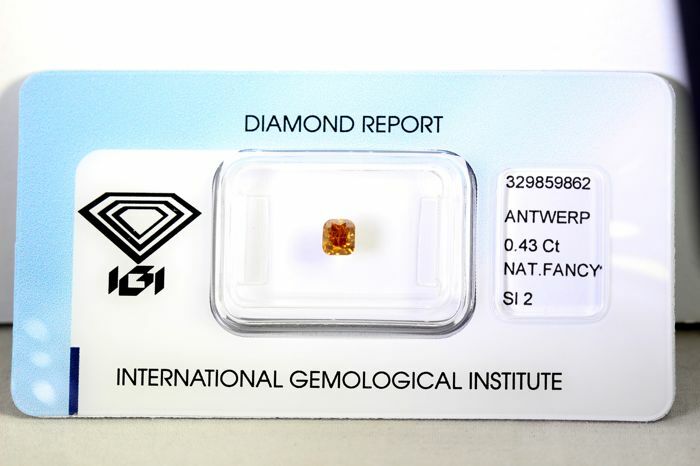 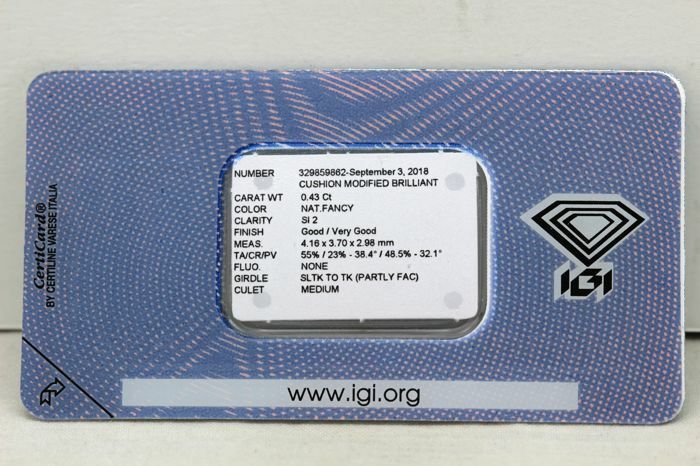 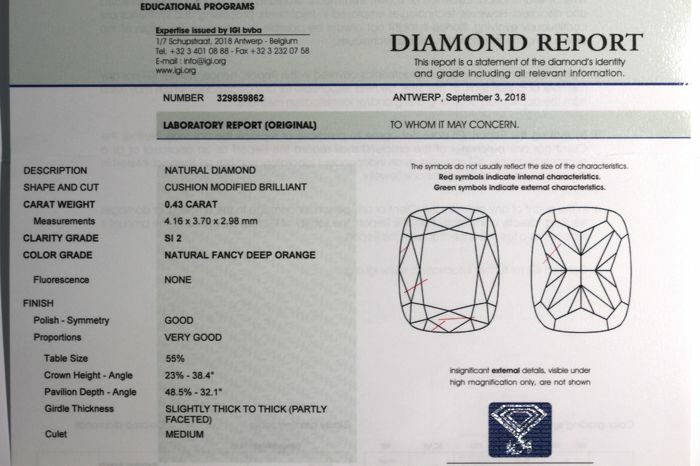 IGI sealed diamond - 0.43 ct - fancy deep orange - SI2. 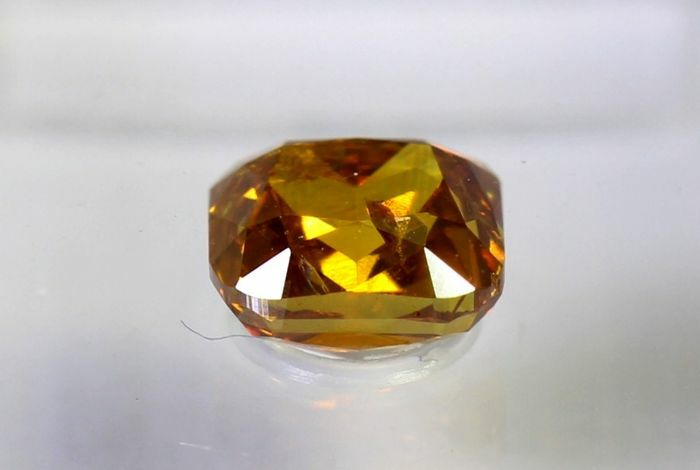 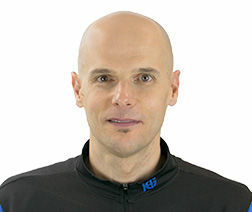 Size: 4.16–3.70 x 2.98 mm. 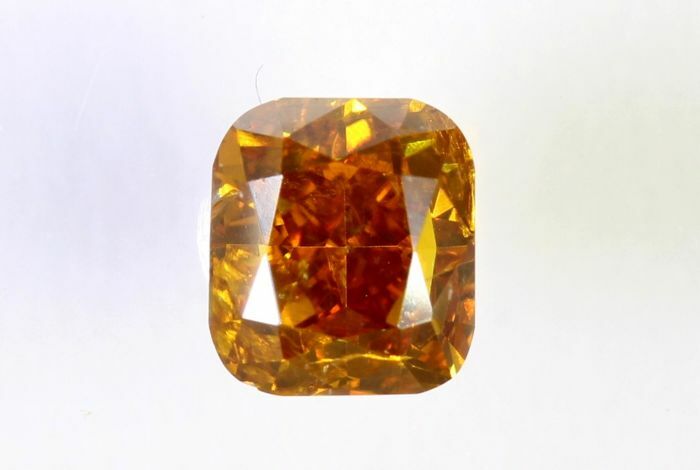 Diamond colour: Fancy Deep Orange.